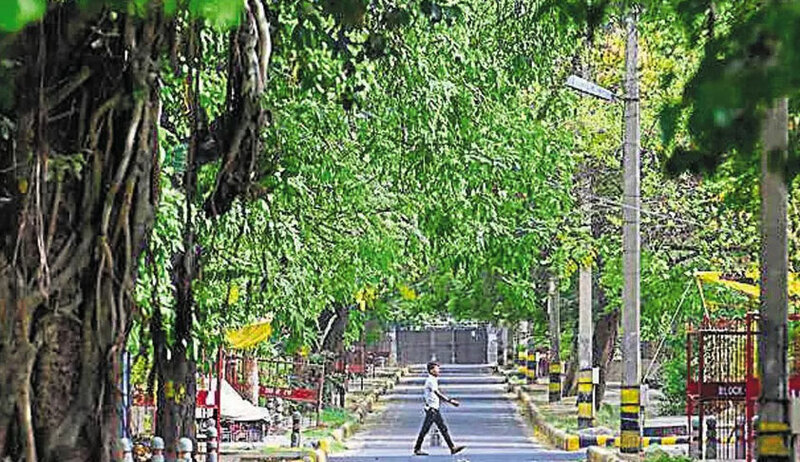 The Delhi High Court on Monday stayed till 4 July the cutting down of around 20,000 trees for redevelopment of six south Delhi colonies by the National Buildings Construction Corporation (NBCC) and the Central Public Works Department (CPWD). The Bench comprising Justice Vinod Goel and Justice Rekha Palli issued the order on a petition filed by an orthopaedic surgeon, Dr. Kaushal Kant Mishra, represented through Advocate Gopal Sankaranarayan. The Petition seeks setting aside the Terms of Reference (ToR) and the Environment Clearances (EC) granted to the project by the Environment Ministry. Mr. Mishra has alleged that the permissions have been granted “wholly ignoring the air pollution and serious environmental concerns that affect the health of the citizens of the capital”. He relies on the recent report submitted by Niti Ayog, which had claimed that India is facing an emergent water crisis, and asserts that the project would “force the city and its residents into an abyss”. He further highlights the fact that it has repeatedly been laid down by the Supreme Court that trees are held in “public trust” by the Government on behalf of the public and that the right to a clean environment is protected by Article 21 of the Constitution. He then alleges that the impugned ECs and ToRs “amount to an outrage on the delicate ecosystem of the capital amounting to a clear violation”. The matter has now been listed on 4 July.